The Makauwahi Sinkhole is a small portion of the largest limestone cave found in Hawaii. Paleoecological and archaeological excavations of the sediment that has filled the pond in the sinkhole put its age at some 10,000 years, and have revealed at least 45 species of bird life. 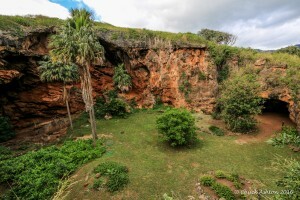 More importantly, the findings of this study show how the first humans that inhabited Kauai affected the pre-human natural environment. It is one of only a handful of sites in the world that show such impact. A reforestation program is in place to restore the environment to its pre-human condition by re-planting indigenous species. 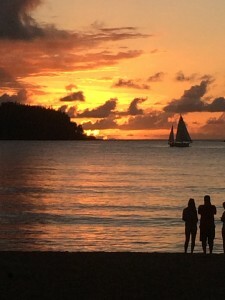 My current honeymoon guest that are staying in Hanalei Bay Resort 5202, Dale and Laura, (just married in May from Florida) are having a great time and they just sent me these pictures they took during sunset at Hanalei Bay. The North Shore does have the best sunset views! I do not typically endorse guides and excursions on Kauai. But Jeremiah was awesome. He really pushed me and I him. I enjoyed a FULL day of hiking and Jeremiah and he had great knowledge of the trails. I DEFINITELY plan on hiking again with with him soon. I received this today and wanted to pass this along to all my guest who are looking to explore Kauai by foot. It’s been nearly six years since I moved to this beautiful island to start my hiking & adventure guiding business. As most of you know, I’ve been in the adventure business for over 16 years, with a bachelor’s degree in Outdoor Education and many years of field experience – from teaching “primitive skills” while mentoring “at risk youth” in the wilderness, to guiding all-inclusive luxury group tours for adults and families. 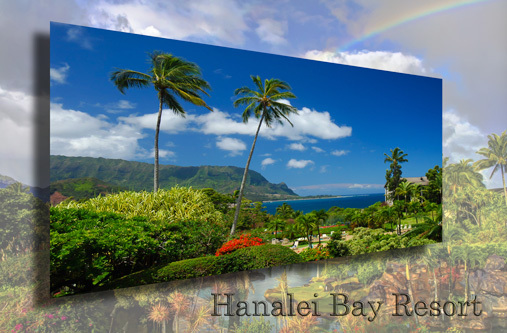 Currently, I’m focusing solely on private tours (on Kauai, the other major Hawaiian Islands and beyond) for families, individuals, and small groups of all ages and ability levels. About five years ago, I sent out a email requesting for support in spreading the word about my website for global hiking tours, GetOutsideAdventures.com. I received a tremendous response and I am grateful for the support & encouragement! Since that time my experience, knowledge and understanding of this spectacular island have continued to deepen. It’s been an honor to share “island treasure” with hundreds of visitors over the years. I love what I do and feel truly blessed to make a living doing what I’ve always been passionate about: going on adventures with interesting folks in awe-inspiring places! While I’ve received some terrific feedback, I know that when it comes to Hawaii, the islands themselves are the real star – even places I visit regularly continue to reward me new surprises! So far word of mouth has proven the most reliable means of promoting my business. So…. Once again, it would be of great assistance if you would take the time to spread the word to your family and friends planning a visit to Hawaii by forwarding this email and/or sharing the links below. If you’ve been on a hike with me, please use the TripAdvisor and Yelp links to write a short account of our experience together. Your recommendations and feedback make a big impact on the visibility and credibility of my company on the web. Leaving daily cares behind and heading off on a Hawaiian vacation is a dream come true for many individuals. Whether riding horses through the hills or lying back on glittering sand, it is easy to become lost in the moment. Unfortunately, all that sun can be tough on the skin; however, with just a little extra care, it is possible to enjoy that dream vacation without having to pay a price for it later. •	Premature aging: Too much sun can speed up the development of fine lines in the skin and make existing creases deeper, as well as giving skin a rougher texture, making regular sun-worshippers look old before their time. •	Discoloration: The production of extra melanin in response to exposure to the sun doesn’t happen evenly and can play havoc with skin tone, creating lasting stains and blemishes that often look increasingly bad with age. •	Drying: The sun can do a lot of damage simply by drying the skin out, sometimes permanently robbing it of its natural glow and leaving the surface taut, fragile, and vulnerable to breaking and cracking, as well as to infection. The best way to protect against the damage listed above, of course, is to cover up when spending prolonged periods of time in the sun, wearing loose fitting clothes and a broad brimmed hat. Because this isn’t always practical – and because most of us enjoy feeling the sun on our skin – the next best line of defense is sunscreen. To be effective, sunscreen needs to be applied before going out into the sunshine and needs to be re-applied often. It is important to make sure that the sunscreen you use is the right strength for your skin type and for the amount of UV in the atmosphere. When applying sunscreen, it is important not to forget areas like the ears, the feet, between the fingers, and the back of the neck. If damage to the skin occurs despite using an adequate sunscreen product there are measures that can be taken to treat and repair skin – and the sooner these measures are taken the better. Applying a good moisturizer like Argan Oil can help the skin to repair itself. Natural products like lactic acid and bearberry juice can be used to lighten discolored areas, while glycolic acid creams can repair damage and give the skin back some of its elasticity without making it as photosensitive as some other products will. It is important to buy skincare products from a reliable source, and to remember that results may vary based on personal factors. Even people planning to spend most of their time sunbathing should pack loose fitting clothing when going on vacation for those times when more than just a swimsuit will be required. As well as the usual sunscreen, it is a good idea to take a stronger product along for use on particularly high-UV days, and after-sun treatments like those mentioned above should not be forgotten. Always dreamed of a condo right on the beach where the first thing you hear when you wake up every morning is the sound of the ocean? Love to feel the sand between your feet and the sea breeze in your hair? 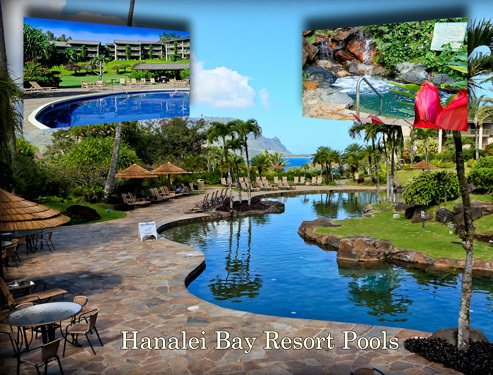 Why not come to Kauai and live the dream! 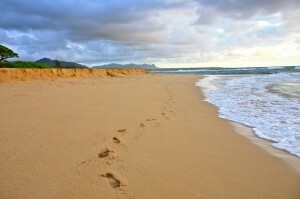 You’re spoiled for choice when it comes to gorgeous sandy beaches in Kauai: from the relative quiet of a relaxing walk on Moloaa Bay to the more popular hustle and bustle of Poipu beach park, which has a lifeguard on duty, showers, picnic spots and a designated spot for children to splash in the ocean. Kauai has some of the most picturesque beaches in Hawaii. But what can you do on Kauai’s beautiful beaches? Here are just a few ideas for fun Hawaiian beach activities! The water sports on Kauai are second to none. In fact, Kauai is considered by many to be the best Hawaiian island to visit if you’re planning to try your hand at some water sports (whether you’re an expert or a rank beginner). 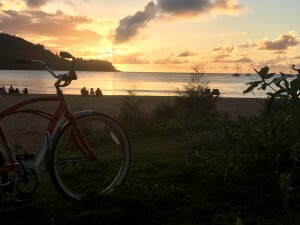 If you are new to the water then, Kauai is the perfect place to try a new water sport for the first time, particularly surfing, because the laid back and friendly attitude of the local residents mean you won’t be made to feel at all self conscious if you fall of your board for the first, second, or even fiftieth time! Whether you’re looking to surf or snorkel in the open sea, windsurf on one of the islands fresh water lakes, or enjoy a boat tour complete with a well informed tour guide to lead the way, you’ll find all of these options and more on Kauai. If you plan on taking to the water during your trip to Kauai then ensure that water sports are covered by your vacation insurance policies: many policies don’t cover water sports or require that you take out an additional policy if you want to hit the surf during your vacation, so it’s better to check and be sure before you arrive on the island. After all, you don’t want to be stuck on the shore watching everyone else have all the fun! As well as waking up to the sound and smell of the ocean every morning, you will also be able to enjoy incredible views from the beaches and bays of Kauai. The Jurassic Park movie trilogy was filmed in Kauai, and the much anticipated fourth movie is scheduled to be filmed on the island too, with filming penciled to start later this year. The island was chosen because of its untouched and almost primitive landscape: the scenery here really will take your breath away! Jurassic Park isn’t the only movie to have been filmed in Kauai’s bays and beaches, and movie buffs may well experience a sense of déjà vu when exploring the island. Parts of South Pacific were filmed on the Napali coast, Raiders of the Lost Arc was filmed here too, and Elvis filmed two of his movies (Blue Hawaii and Girls! Girls! Girls) on the island. Finally, not only can you see dolphins in the surf from Kauai’s beaches, you can also take the opportunity to swim with them yourself. There are no sea creatures such as dolphins in captivity on Kauai (something that is considered a massive plus point of the island) so there isn’t a designated place where the chance to swim with dolphins are guaranteed. But it’s likely that you swim off the Na Poli coast, you will find that you are swimming alongside dolphins: the Na Poli boat tours also regularly sail alongside large pods of dolphins. Natural dolphin encounters in their own environment (as opposed to commercial encounters with captive dolphins) are a truly special, once in a life time experience. And you’re likely to be able to enjoy this experience off the coast of Kauai! 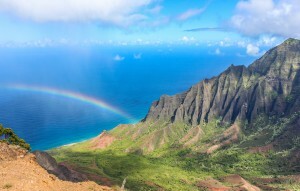 What more reason do you need to visit Kauai and explore everything its coastal region has to offer? 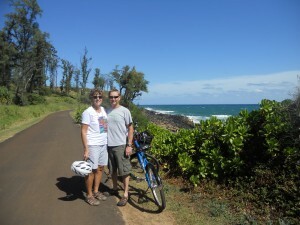 The Kapaa Bike Path is a family friendly Kauai activity that is free and open to the public. 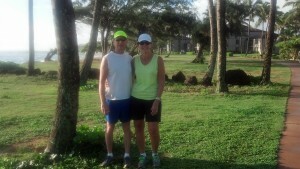 The bike path runs right in front of Wailua Bay View condos. My recent guest Rob and Kathy took time to enjoy an afternoon biking along the coast and forwarded me this great picture. They enjoyed the path so much they decided to walk along the path also. While traveling along the path you might spot one of our monk seals if you look closely. During the winter time whales are always present. Visit popular Kapaa restaurants, eclectic shops, and many amazing east side beaches on this self-guided path along Kauai’s Coconut Coast. This beautiful Kauai path is used by walkers, runners, and cyclists. This is NOT an official “trail,” and that by hiking here, you do so at your own risk. I did the hike with Jeremy a knowledgeable guide at Kauai Hiking Adventures. 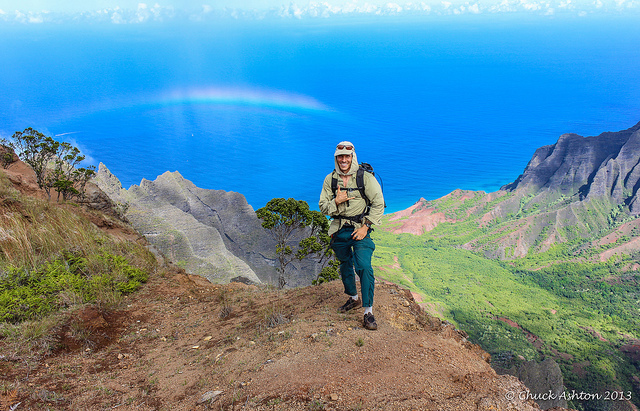 Kalepa Ridge hike will take you along the ridge line between Honopu and Kalalau Valley’s, offering some of the most incredible views into Kalalau Valley. The panoramic views into Kalalau Valley as you hike out onto the ridge stretching towards Na Pali are simply incredible. The day we did the hike the weather was clear. We began the trail at 10:30 am and finished at 1:30 pm after a lunch at the point with local fruits and many photo stops along the way. The GPS showed a total round trip of 2.1 miles with an elevation change of 650 feet. This completes all the ocean side trails in Kokee State Park. Of all the ocean side trails, this one is the best.